You’ve prepared for a successful PACK EXPO International—you’ve updated your online exhibitor listing, made hotel reservations, and marked deadlines. All planning aside, a tradeshow isn’t a success without customers and media visiting your booth. As you’re planning the final details of what you’ll have in the booth, it’s critical to consider who will visit and—more importantly—how they’ll know where to find you on the tradeshow floor. As an exhibitor, you automatically receive an entire suite of custom, fully formatted pre-show promotional materials from PACK EXPO. The Customer Invite Program is completely free and helps drive traffic to your booth through a variety of items. An exclusive comp code and invite registration link not only allows you to invite specific guests to the show (and your booth), but it also lets you see who used the link to create an internal lead list. Send the HTML email invite through your preferred service, such as HubSpot or MailChip, or let the show send it on your behalf. Place banner ads on your website, eNewsletters and email signature as well. Simply visit your exhibitor dashboard to get started. Advertising is a sure-fire way to attract attention, especially when it’s backed by a leading publication. PMMI Media Group offers several pre-show lead-generating opportunities, including the Packaging World Showcase and Game Plan print issues, and Spotlight eblasts. The Showcase issue features your show profile and is sent to 20,000 pre-registrants and subscribers in September while Game Plan includes your booth and product information in personalized itineraries created for attendees that have expressed interest in your categories. Spotlight has you covered digitally with updates sent regularly leading up to opening day. Press releases continue to stay around for the simple reason that they work. Be sure to include your booth number details, what packaging machinery you will be displaying and demonstrating during the show, and any special announcements or events you will be hosting. In addition to sending it to industry publications, post the news on your website and schedule visits with editors ahead of time. Post updates on LinkedIn, Facebook, Instagram and any other social media channels to let followers know where you’ll be at the show. Be sure to use specific hashtags so that attendees can see your post even if they’re not following you. 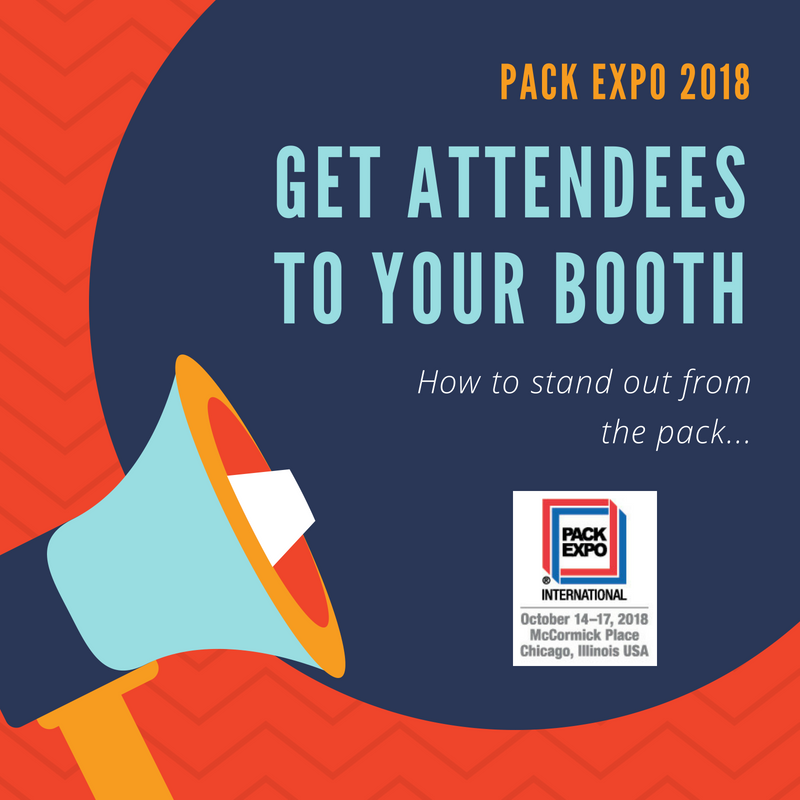 Take advantage of your hard work and utilize existing leads from your customer and prospect lists and send a direct email to promote your booth at PACK EXPO 2018. Include links to products you plan to display and a call-to-action to schedule a meeting with your product managers, engineers and sales team for a full-service visit. More updates and tips will be shared leading up to PACK EXPO International. Sign up for our blog to receive all future Countdown to PACK EXPO Chicago updates.